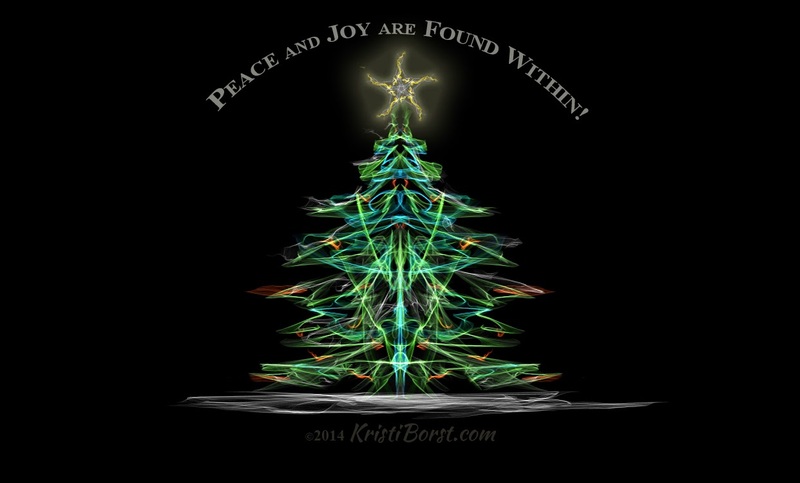 Healing Resonance Articles by Kristi Borst: Peace and Joy are Found Within! we are made of light and love ... in us, through us, of us! It's remarkable how "eager" our mental, emotional, physical and spiritual selves are to be healthy and whole. Once the resonance of love/peace/joy is re-established and the blocks and debts are effectively released, the results toward wholeness are dramatic. This is what led me to call the work I am doing Perspective Reboot®. Imagine ... drug-free, non-invasive, effective healing for mind/body/soul/spirit! If the client is willing to "release that which no longer serves" them, It Is So! Hope restored! Power ON! Ready to be one's best! It is never my intent to create dependency nor the feeling of subservience, so I share insights and energies which heal and empower others. This is because we are equal and we are connected. As I am healed, you are healed; as you are healed, I am healed. Life is truly about perception and reception! And we are the ones who get to decide what we see, feel, and experience! You are unlimited to the extent that YOU allow yourself to be. In fact, you never have to accept someone saying "you will never be ..." or "you will never recover from ..." or "your father, grandfather, great-grandfather had ... so you will too". Heck, even if someone tells you "there is nothing more we can do for you" that is not the same as "there is nothing you can do". There is always hope and miracles happen in the spaces BEYOND limitation and lack. December is truly a month of hope and love! Not only in the US, but around the world people are celebrating ... Bodhi Day (12/8), Hanukkah (12/17-21), Solstice/Yule (12/21), Christmas (12/26), Kwanzaa (12/26-1/1), and even New Year's Eve (12/31). This is a great time to get used to opening our hearts and expressing ourselves as love to others ... something you can continue throughout the year as well. How? Say "Happy Holidays", smile at a stranger, help someone with their packages, pay the toll of the person behind you. Be creative! My wish for you is that you feel that love returned to you ... not only during the holidays, but well beyond. Peace and Joy are well within your grasp as they are found within. As we live our lives from that space of Peace and Joy, we easily see Peace and Joy in our world. Happy 2015!